I’ve heard beer referred to as “liquid bread”. With this in mind, I decided to make a beer mash starter, which is composed of grains and yeast, just like bread. 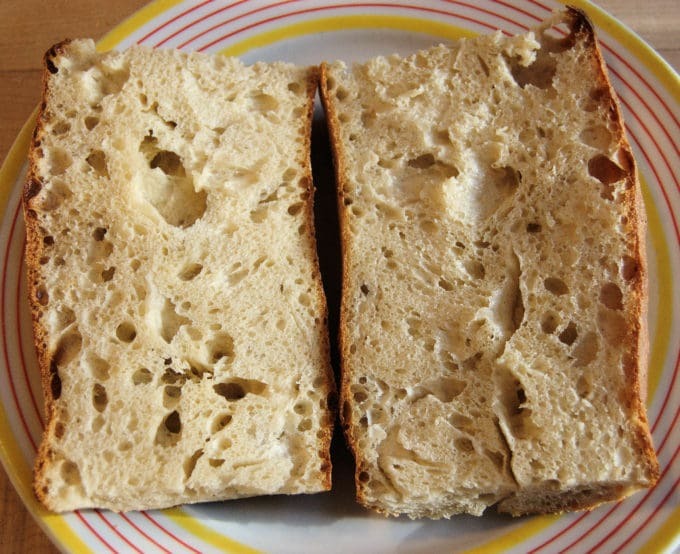 This baguette has an open and irregular crumb with a great chewy texture. My son, who turned 21 this year, got a beer making kit for Christmas. He loves to cook and he loves science so we figured beer making should be right up his alley, and it is. He made his first batch of beer when he was home from school for winter break. 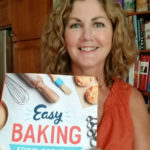 Beer making is very similar to bread making; mix the ingredients with water and yeast, allow it to ferment to create air bubbles, bake (or bottle), and enjoy the fruits of your labors. As I watched him siphon the beer off the grain mash a light bulb went off. I decided to make a bread starter from the mash, which is composed of grains and yeast, just like bread. I made a couple of baguettes with the starter the next day. They were beautiful and delicious, some of the nicest loaves I’ve ever made. 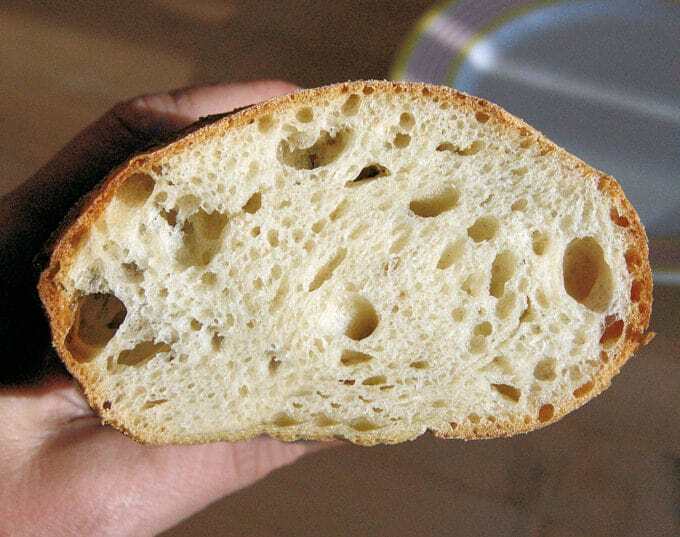 The crust stayed crisp even as the bread cooled and the crumb was chewy and flavorful. The bread did have a slightly bitter aftertaste, which I didn’t really mind. My son was making an India Pale Ale, which uses hops for a bitter flavor, so it’s not surprising that that came through in the bread. I’ve used the starter several times over the past few months and by now the bitter edge is gone and it has a nice yeasty sweet aroma. 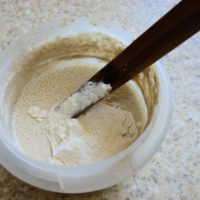 Unless you or someone in your family is into beer making you probably won’t have access to beer mash, but you could make a starter using a little dry yeast. I’ve given both options in the recipe below. There are many, many ways to create a bread starter. Recently my husband was out of town and I’d been working long hours and just eating any old thing. After a day or two of tuna and canned soup I decided it was time to cook a decent meal, even if it was a meal for one. I was rooting through the refrigerator and saw my neglected beer mash starter. I took it out of the refrigerator, added 1/2 a cup each of water and flour, and set it over a bowl of warm water. After an hour or so I could see signs of life, whew! 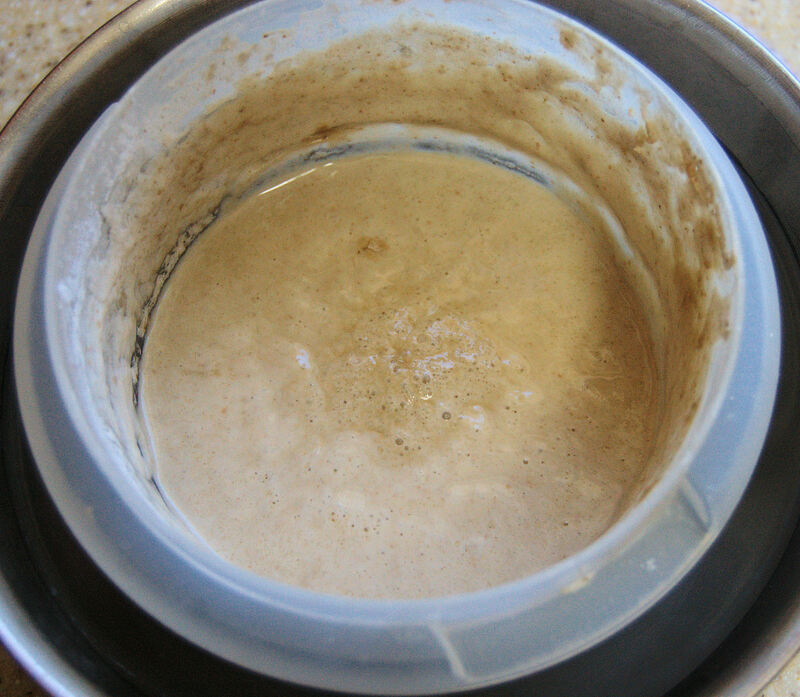 After adding flour and water to the starter it begins to come back to life. 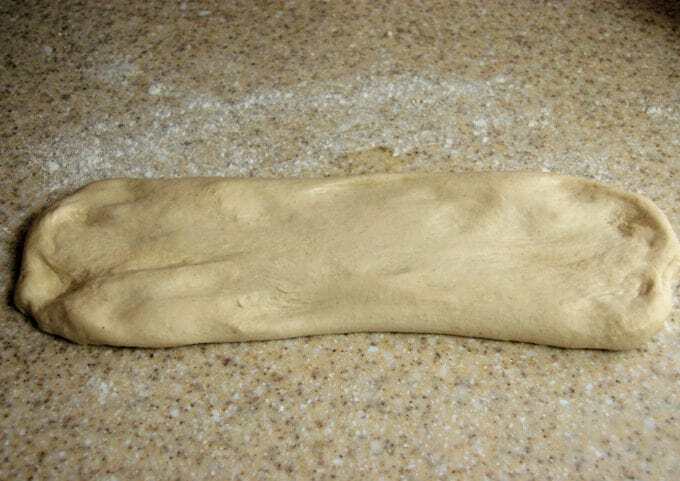 Stretch the dough into a long oval shape. I place a small pan with “whiskey rocks” onto the floor of the oven. Pour water over the preheated rocks to create steam. Baguette, hot from the oven. 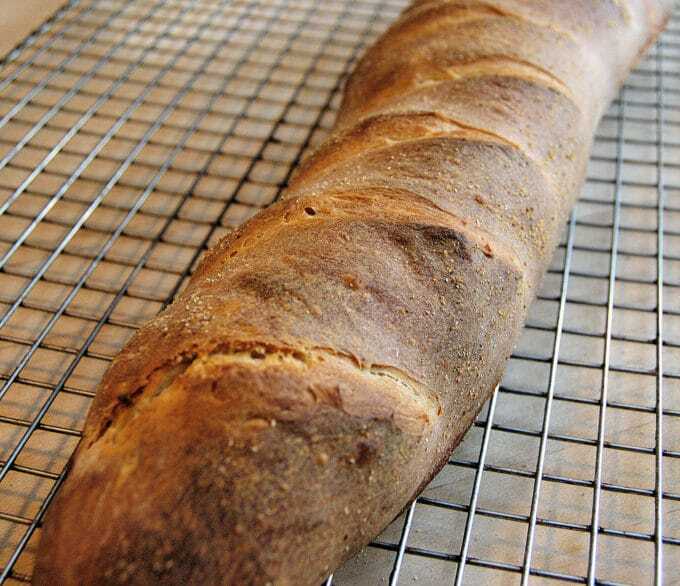 By not kneading the air from the dough, you’ll get a baguette with a nicely irregular crumb and a great chewy texture. 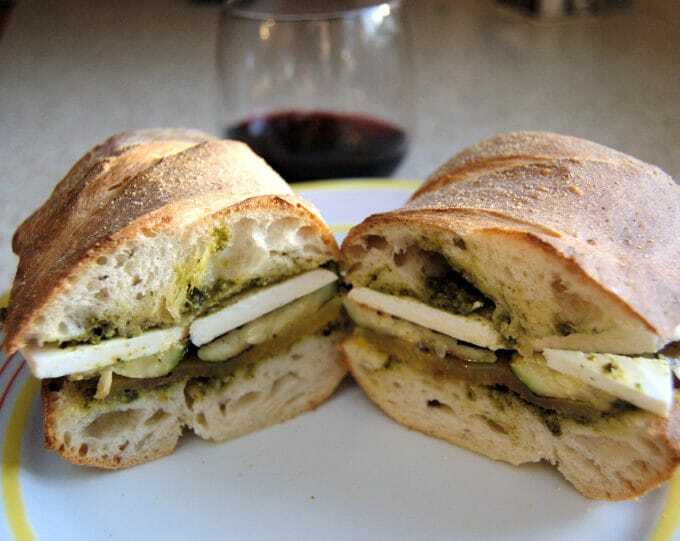 Dinner for one would be a fresh baguette with grilled veggies, pesto and ricotta salata. Perfect! Dinner for one – fresh baguette with pesto, grilled veggies and ricotta salata. Combine all the ingredients until it forms a smooth batter. The starter will rise up and be filled with small bubbles when it's ready. 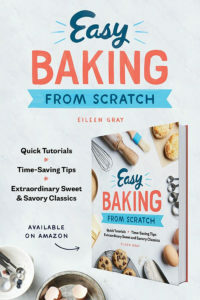 Take the amount needed for your recipe. If you don't use the starter for at least 2 weeks discard 1 cup of the starter and refresh with 1/2 cup water and 1/2 cup flour. Keep at room temperature until it's bubbly and active then place back in the refrigerator. 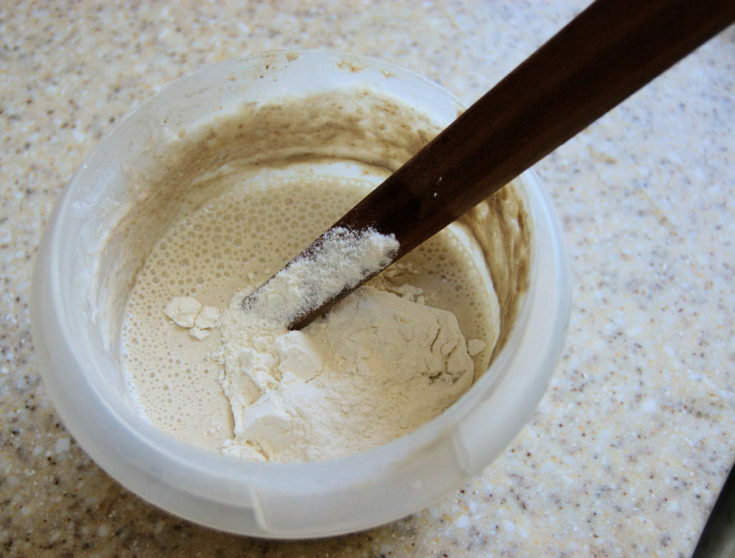 Combine the starter, water salt and yeast in a mixer bowl. 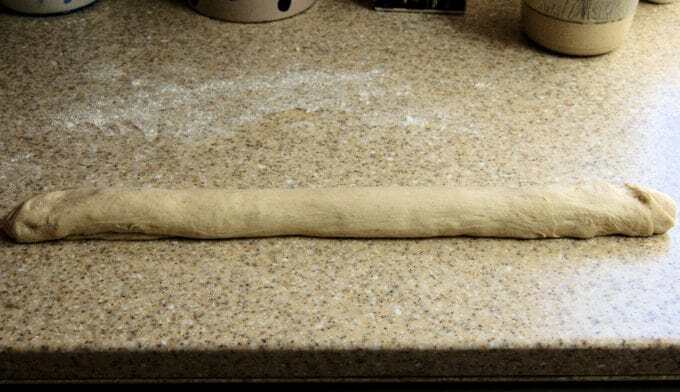 Add enough of the remaining flour until the dough comes together and gathers on the hook. The dough will still be slightly sticky, but not wet. You might not use all the flour. Working from the long side of the oval, tightly roll the dough into a baguette shape. Place a small pan (with a few stones if you have them) onto the floor of the oven. Carefully pour a cup of water into the pan on the floor of the oven. Lean away from the pan while pouring since the steam will rise up quickly. You can use a portion of the starter for your recipe as soon as it's active, but the flavor will improve as it ages. You can make the starter several days before you're ready to bake the bread. Each day remove a 1/4 cup of the starter and stir in 2 tablespoons of water and 2 tablespoons of flour. 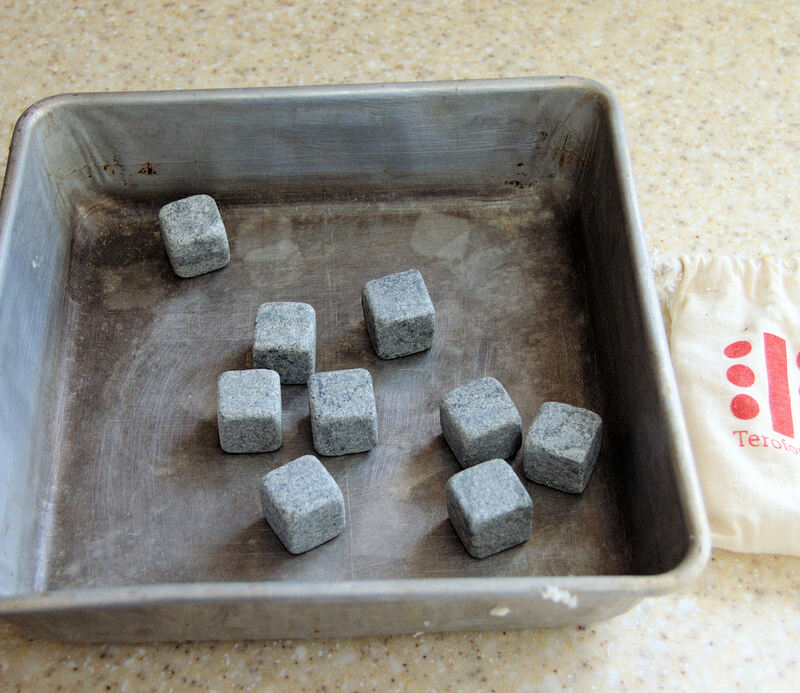 I use "whiskey rocks" to create the steam in the oven. I place them in a small baking pan and allow them to preheat while the oven preheats. It’s called trubb (what’s left after the finished beer is siphoned off). I actually started a sourdough from trubb and still use it for all of my baking needs. Oh, thanks for the info. I’m still using my starter and I love it! Great minds think alike, right?